The demand for food products which enhances the nutritious value of food is helping the global citrus based dietary fibers market to grow at stupendous growth. Rising consumers who are concerned regarding their health are favoring the growth of the market. Over the years it has been noticed that the consumption of fast foods, canned food, read to eat products have dominated as people are occupied with their works. Consumption of such food products have reduced the intake of nutritious level and increased the obesity rate across the world. Rising preference towards healthy lifestyle along with spending power has helped the market to grow significantly over the years. Rising application of the citrus based dietary fibers market is anticipated to be the key factor driving the market. Application of citrus based dietary fibers market consists of beverages, meat, food perparations, dairy, preserves, bakery, and other applications. Properties such as effective hydrocolloidal which consists of high water holding capacity has helped the product to find new avenues in application segment. Increasing number of diseases cases is rising the demand for natural sourced food which in turn is likely to grow the market. Increasing demand from bakery and diary, preserves application due to functions associated with it such as thickening, gelling, water binding, and stabilizing is anticipated to favor the market growth. Health benefits such as anxiety reduction, stress relief, along with enhanced skin tone is likely to attract players from cosmetic and pharmaceutical industry. Better heart health and reduced chance of kidney stone is likely to bolster the market growth. Rules and regulations laid down by government of various countries with a view of enhancing the nutrition content in food and beverages is predicted to increase the sales of the product in the market. Rapid technological advancement helping to procure insoluble and soluble products are prognosticated to stoke the growth of the market. However, erratic price of citrus peel costs and uneven distribution of it anticipated to dwindle the market sales. Recently, FIberstar, Inc., a major player introduced a new product called Citri-Fi®, which the company claims that it is natural citrus fiber which is expected to enhance texture, quality and libeling in foods. The company claimed that there was no addition of alcohols or chemicals during the manufacture of the product. Europe is expected to dominate the market owing to rising number of health conscious consumer. Apart from these, rising dairy along with bakery industry is expected to keep this region on top. Favorable government norm is likely to exhibit decent growth rate in North America. 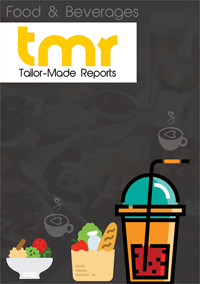 Surge in usage of citrus based dietary fibers in fish & savoury, canned meat along with need to enhance nutritious value in bakery is expected to augment the market growth in years to come. Increasing demand from nut-based milk application is expected to create lucrative growth opportunities. On the other hand, Asia Pacific is expected to exhibit a stupendous growth in future due to increase in spending on premium health products. Rich production of lemon in India and China are likely to support the market in region. The global citrus based dietary fibers market is fragmented in nature with presence of both regional as well as global players. Some of the major players in the market are CP Kelco, DuPont Danisco, Cargi, Fiberstar, Herbstreith & Fox, and Ceamsa.